You are currently browsing the archives for the tag '16'. 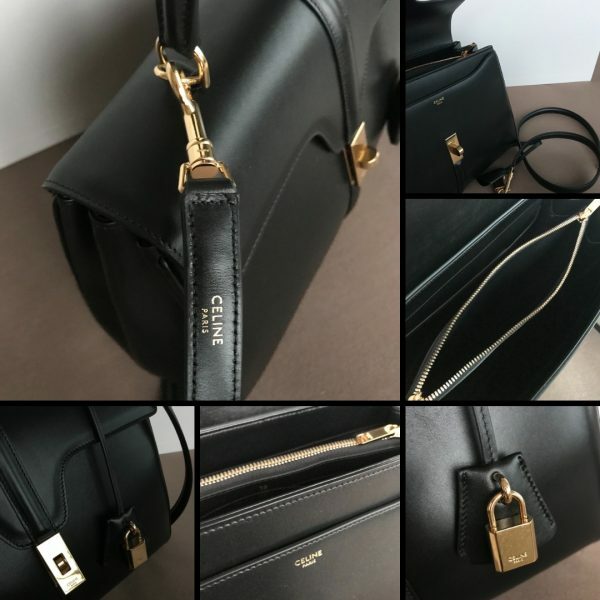 Yesterday, in 16 Celine stores around the world a true object of desire arrived for a few chosen fashion lovers and I am one of them. 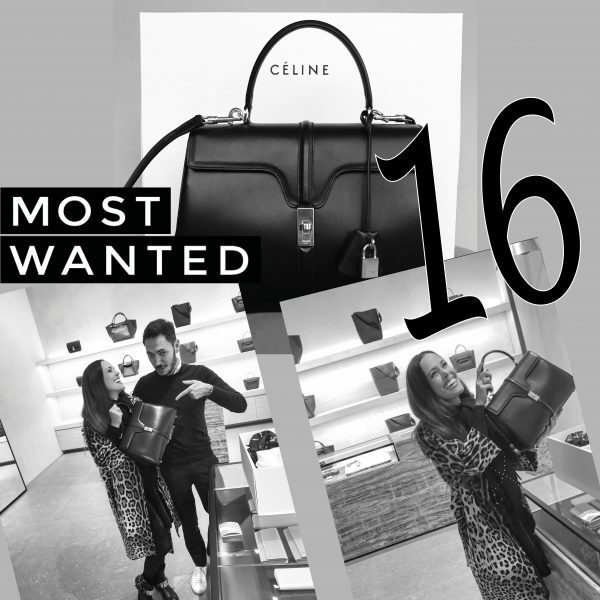 It is Slimane’s «16» bag (it is called the «Seize» which stands for sixteen in English, the latter a language you should not use to pronounce the new It-piece). The name derives from the address of the Maison’s headquarters and atelier on 16, Rue Vivienne in Paris. The boxy, top-handle style was first spotted on Lady Gaga in August and caused a frenzy on Instagram right before Slimane’s debut show for Celine which took place in September during Paris Fashion Week. A runway presentation that was endlessly discussed and divided the fashion world into two camps, «Old Céline» and «New Celine». 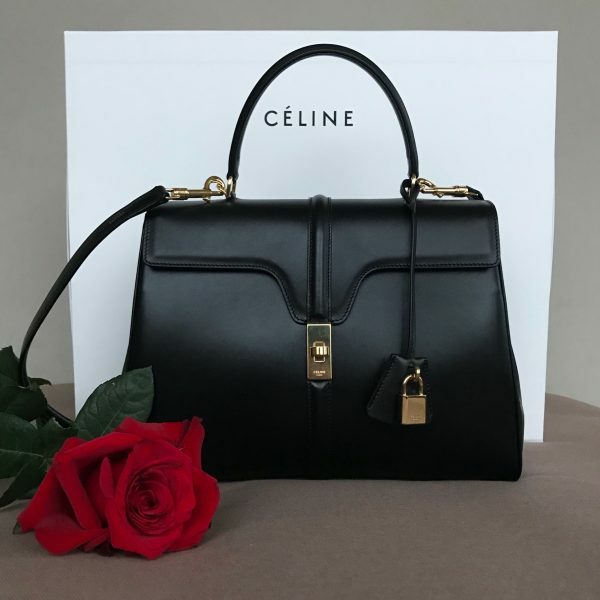 But coming back to this beauty, the design features discreet gold hardware and the new accent-less Celine logo (don’t forget, there is no more Céline as Hedi took the «accent aigu» ( acute accent) away in the beginning of September). Officially it will hit the shelves in January/February 2019 and will be available in three sizes as well as a range of colors and leathers, including exotic skins. I am so happy to have this holy grail of fashion already in my closet… stay tuned for my first outfit post with it! Cannot wait to sport this must-have piece on my arm. And yes, I am a committed fashion addict… and that is ok!